MD Façade Cork Board is a high performance, natural, sustainable and vapour permeable system for external or internal* cladding. MD Façade Cork board is made from entirely natural and renewable cork. The interesting design of the boards offer a unique cork cladding finish with excellent thermal and acoustic performance. The low thermal conductivity (0.043 W/m.K) of MD Façade Cork Board by Amorim offers a high energy efficiency, thus contributing for an environmental and economic saving. 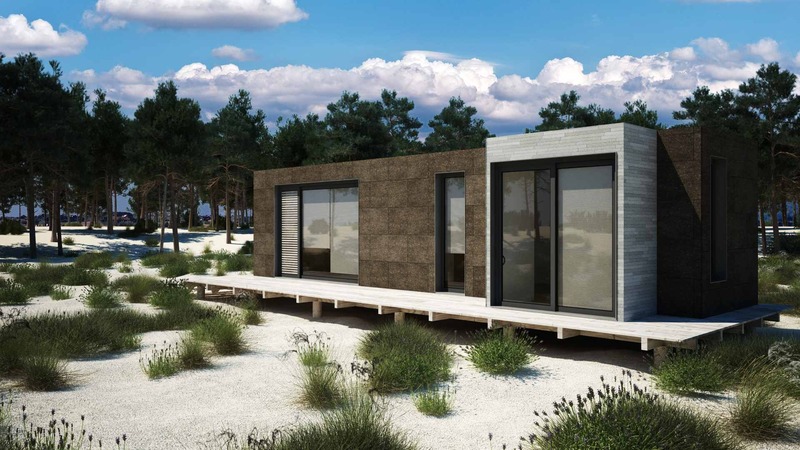 The use of 100% natural expanded cork panels on the total external cover of a building ensures maximum thermal insulation and significant acoustic insulation, whilst preserving the environment. 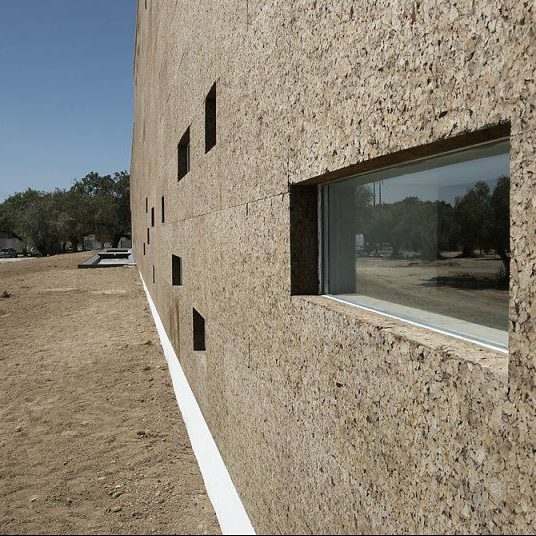 Providing natural and sustainable insulation (extracted from the cork oak tree every 9 years), the cork supplied by Mike Wye & Associates in the MD Façade Cork Board system is a breathable material. Free from any chemicals, synthetic resins or carcinogenic materials, which contributes for a healthy environment inside our homes. The adhesive mortar AdhereVit EcoCork MD , constituted by natural hydraulic lime and cork aggregates, ensures the perfect compatibility and correct fixing of the cork panels. Intended for use externally and internally*. Contact us to discuss quantities and application. *Internal applications may need additional coating for fire resistance. Density: 140 – 160 kg/m³. Compression resistance at 10%: 220 KPa. Water absorption by partial immersion: 0.17 kg/m². 100% natural and additive-free industrial process.